Is David de Gea staying or leaving? Or will Antoine Griezmann move in? Manchester United are keeping everyone guessing as to the status of the two players – one a dependable goalkeeper and the other a reliable striker. De Gea is said to be being wooed by La Liga giants Real Madrid but the latest buzz is that United are determined to keep him manning the posts next season. 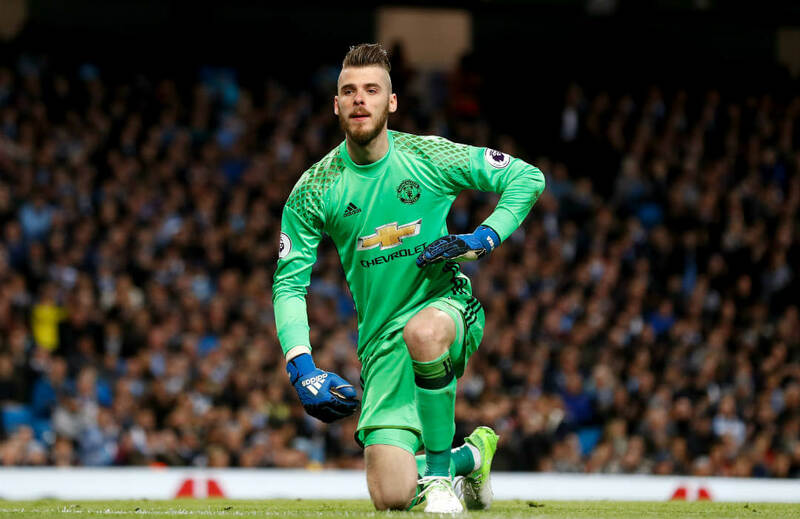 The Red Devils appeared to be girding for the coming term without the Spanish shot stopper when he was left out by manager Jose Mourinho towards the closing stages of the past season. And then as summer approaches, United’s tone took a sharp turn. They put a “not-for-sale’’ stand on the Spanish shot stopper. De Gea looked like on the way to exit two summers back but talks bogged down as necessary papers were not readied on time. However, Real are moving heaven and earth to get the 26-year-old De Gea back to Spain. And to hype this tactic, the club have resorted to propaganda, insinuating a transfer is on the way. But the final say will be on De Gea. In fact, he will only be sold if he actually asks to leave Old Trafford. And the latest buzz is that he has not asked for a move or expressed bitterness about his benching, something that United fans would happily want to know. As to Griezmman, he has previously told Atletico Madrid of his intention to ply his trade to another team. But that was just what reports said. Even so, United are not wasting time to monitor the highly-valued, 26-year-old French international. If he leaves, reports said Atletico will demand the full £89-million buyout clause in his contract. It was also reported that Atletico boss Diego Simeone is ready to approve the move if he is allowed to bring in a replacement. In relation to that, FIFA are expected to announce if they have lifted the second year of Atletico’s transfer suspension, letting the team sign new players this summer. Last week before United advanced to the Champions League by claiming a first-ever Europa League trophy, Griezmann said there is a “six out 10 chance’’ he is linking up with the Old Trafford club. Just a day ago, United striker Paul Pogba hinted that his compatriot Griezmann will get a call from Mourinho to discuss a summer move. What a suspense, really, as of this writing! Whether De Gea stays or leave, or Griezmann hops aboard or remain with Atletico, only United will benefit. But it would be much better if both don the Red Devils jersey next season. HANGOVER OR REGRESSION: With no curse to break, have these Cubs lost their drive?